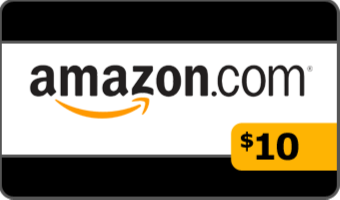 On Friday (10/23/15), we had our first subscriber drawing for a $10 Amazon gift card. Congratulations to Greg, our first winner! When I do a drawing, I'll always have MailChimp send a congratulations message to the winner at the end of the day. If you are the winner, I'll just need to confirm that I have the best e-mail address for having Amazon deliver your gift card. I'll also ask permission to mention your first name in a post on the site. Once again, congratulations, Greg! Everyone else, please sign up for the newsletter to be included in the next drawing and stay tuned for additional announcements, giveaways, and other special offers!